Excavations have restarted in the Lintong District of Xian following the discovery of nearly 1,400 more life-size clay statues that form part of the 2,000-year-old Terracotta Army. The new pit is thought to house 89 war chariots, a host of mounted cavalry, archers, acrobats, artisans and attendants of the first emperor. 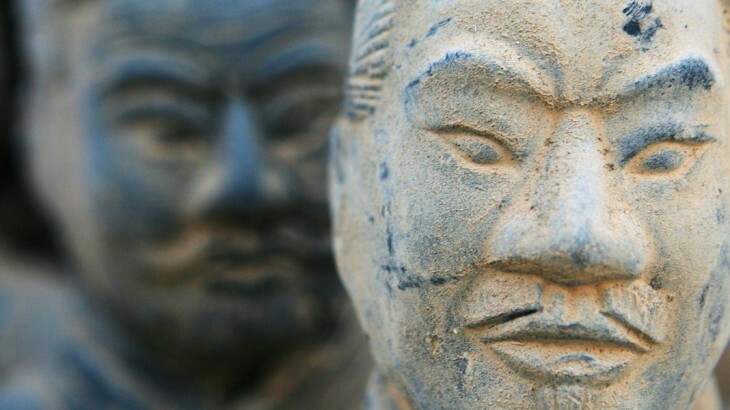 This discovery is offering historians further invaluable insights into the culture of the military in the Qin Dynasty and will hopefully soon be added to China holiday itineraries that already include a visit to see the Terracotta Army. Excavations were halted in 2008 amid concerns that the richly coloured paint used on the warriors was becoming damaged after just minutes of being exposed to the dry Xian air. This time, efforts are being made to digitally scan the colours before they can fade away, as well as wrapping each discovery in cling film. Originally built to protect the First Emperor Qin Shi Huang (259-210 BC) in the afterlife, it was thought that a standard warrior was constructed from clay and extra features were then added on by the architects. Following research done by University College London, it has come to light that no two warriors share the same features and it is believed that the warriors are all based on specific humans. The Warriors, which are already a popular attraction for people on tours of Xian in China, are just under a mile east of the emperor’s burial mound and were accidently found by a farmer in 1974. Since then, archaeologists have uncovered 4 pits that each house a different part of the army thought to have been modelled to protect Qin Shi Huang from his enemies in the East, following his conquering of much of what is now Modern China. 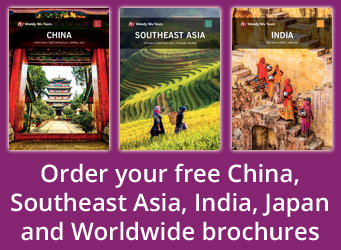 Plan a tour around China with the UK’s leading China Experts, Wendy Wu Tours. Our award winning escorted, fully inclusive China tours visit all the major sights of China for an unforgettable holiday. China china news, silk road, tourism, unesco heritage site. permalink.